Get ready for a taste of the beautiful country! Sauce Italian Kitchen & Market brings the authentic flavours of the old world to a convenient Westbrook location. 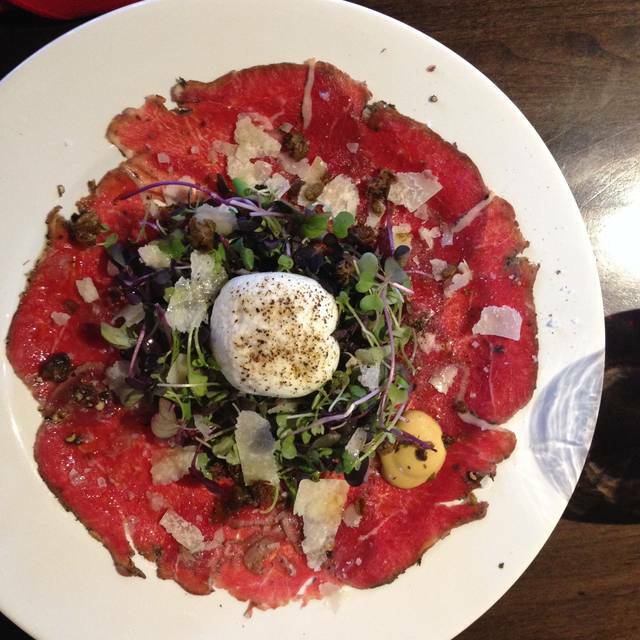 Sauce is your community destination for high-quality Italian food products, coffee and cuisine. 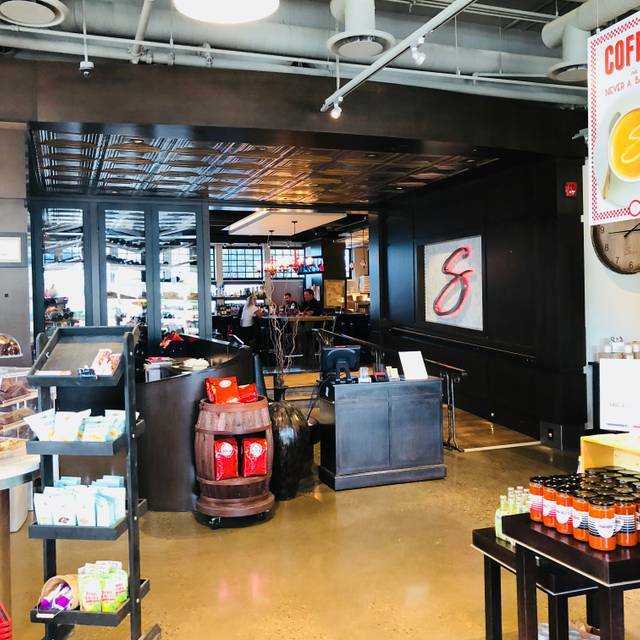 Whether stopping in for an americano and fresh pastry on the way to work, enjoying an Italian sandwich at our deli for lunch, or a fresh-made pizza for dinner, Sauce is the place to be. Have been to Sauce a few times. Go back for good food although it is usually noisy. This is one om my favourite restaurants in Calgary. I dream about this Chicken Parmigian! This was our 4th evening at Sauce. It was exactly what we were hoping for. Great food, wine service and ambiance . I would recommend to any of our friends. 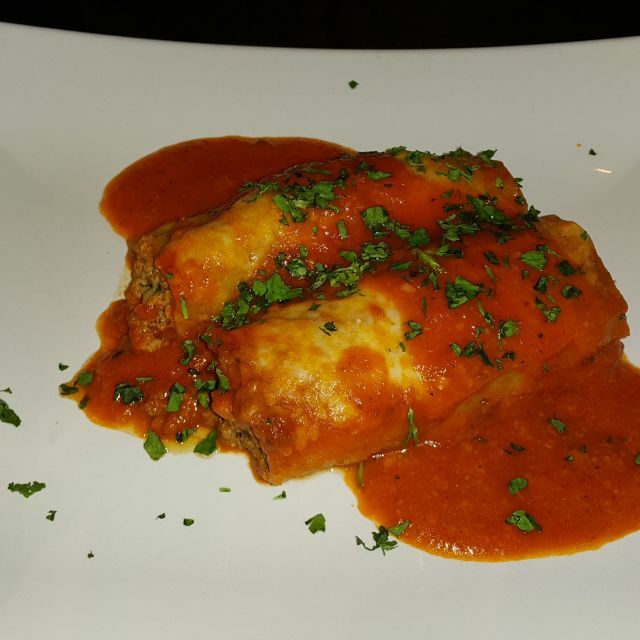 Sauce provides a pleasant value packed dining experience. Staff is attentive without being intrusive and always friendly. I look forward to our next gathering there. The food wasn't quite like we normally receive at Sauce. Still good, just off a little. Service was very good however and all and all an enjoyable evening. I am usually a huge fan of Sauce but this time my mom asked for gluten free pasta and they brought her normal pasta. She way sick for days. They also brought her a canoli (sweet touch for her birthday celebration) but she made it clear she was allergic to gluten. Be careful eating here if you have allergies! Enjoyed the pizza and pasta. Bread was very dry and waitress took it off the bill. We miss SAN Remo and Jenna’s place is worth the drive. Found a hair in my lobster risotto and they acted like it was no big deal. Waitress didn’t even come to the table to discuss it with me...she just went ahead and told the kitchen to remake it. I had to order another dish...just couldn’t eat the lobster again!! They didn’t charge me for the lobster dish but also didn’t offer to comp any part of my meal. I was disappointed but also didn’t want to ruin our night out by making a big deal. We thought the portion sizes for our pasta dishes were a little small. When dining out I will let the server know exactly what the meal is lacking. It is extremely rare to experience a perfect meal and service. This was one of those rare moments. I have gone to Sauce many times for coffee but this was my first time for a meal. The restaurant was packed at lunch (Friday) so it was very noisy and difficult to have a conversation. I ordered the veal cannelloni and was not disappointed. It was delicious and the portion was just perfect. I had the beer special for $5 (Peroni) and it was excellent. Dinner is probably better regarding the noise level. We have visited Sauce on several occasions and this last dining experience was less than satisfactory. The waitress, Holly, was disinterested and did not provide adequate or friendly service. The Arctic Char was dry and over cooked. 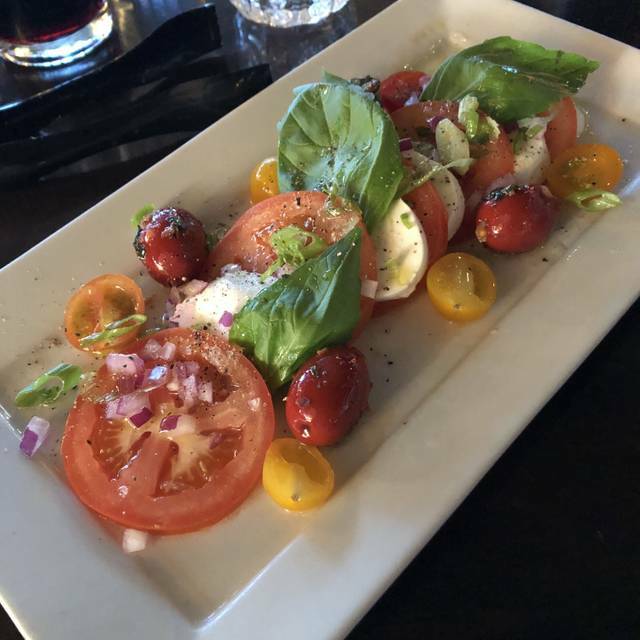 The tomatoes in the tomatoe salad were bland and underripe. We had to ask twice for cutlery as the table was not set properly. Our lunch was phenomenal- both my date and I had salads and they were fantastic! The bread and dipping sauce were very tasty too! Our server, Aphrodite, was way above average! All in all, a tasty, memorable lunch! I’ll be back! A great market-restaurant combination! Had lunch with a friend and picked up ingredients for dinner with my husband afterward. Very convenient. I had the delicious Calabrese Salmon Salad and my friend really enjoyed the Chicken and Artichoke Penne. We agreed that the meals were great and made plans to come back and try something else on the menu. Note: since the C-Train station is nearby, be aware that the 2-hour parking is located on the south side of 17th Avenue. Sauce was the perfect spot in my neighbourhood to catch up with friends. The Pasta night was well within my budget and the food was excellent. I had a lasagna that literally melted in my mouth! Arriving before 6PM, I was also able to shop at the Deli and pick up some goodies from the bakery. I love one-stop shopping! I am so glad that Sauce is in walking distance from my SW home as I will be going back for future visits! Sauce provide exceptional value for delicious portions. The pasta is fresh and the staff are extremely pleasant. This is a go to destination for casual and business lunches! Our food and service is always consistently good! Location is convenient. Food was great & our server very attentive but it was very noisy & madeconversation difficult. Took a long time to get out initial order for drinks and our salad and buns came at the same time as the meal. The food was very tasty. Enjoy the ability to shop at the cafe and deli pre or during dining. Loved Sauce- we miss San Remo in Mackenzie Towne desperately so when the opportunity arises we are quick to take advantage of it! This is only our second time, it was excellent will keep on our go to list for sure! We had a reservation for 7pm. Got there 5 minutes late due to weather. And then made to wait 10 minutes until a table was vacated and cleaned. The calamari was so small it was laughable. Nice place but no music and the waitress was fine but nothing more. We split the Ragu which was average and a salad which was good. 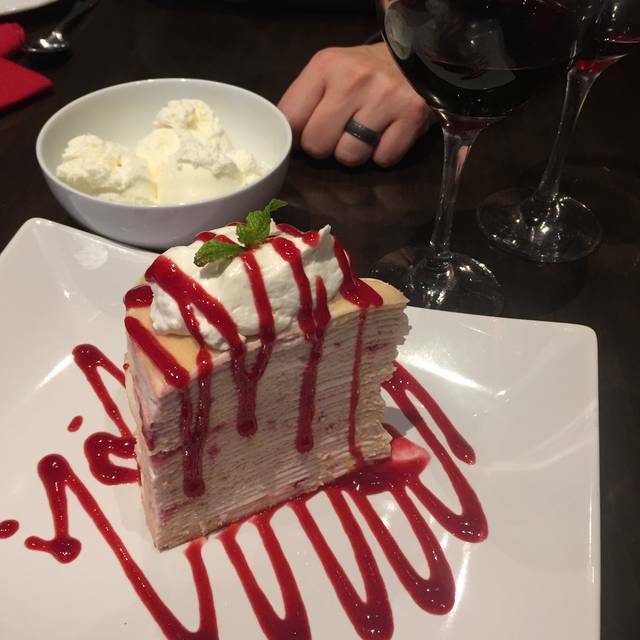 Friendly atmosphere, excellent service, delicious food. Well done Sauce! The best pasta!!! Also a great wine list. Amazing food for a great price! Lovey spot for an Italian dinner! Take home some food from the deli afterwards! Sauce is our favorite "go to" restaurant, visiting at least once a month. Consistently excellent!! Sauce remains one of our favourite spots; for either a fancy sit-down meal or just picking up some delicious grub at the market. Always dependable, and a wonderful place to take visitors. Birthday dinner. Food was really good.